You unexpectedly lost your job, you’re drowning in unpaid medical bills, you’ve recently lost a loved one… These are all situations that often put individuals in dire financial trouble. 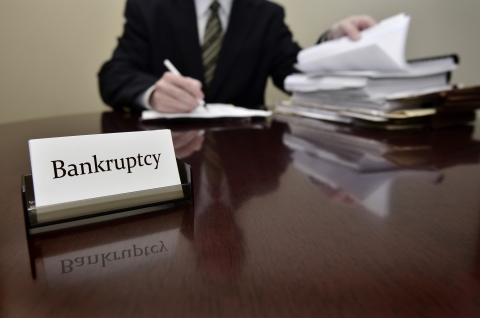 Sometimes this financial struggle can ultimately lead to the decision to file for bankruptcy. However, this is not necessarily easy to pursue. That’s why you’ve consulted our legal team to help. At TATE BYWATER Law, we are here to provide you with the best possible legal counsel for your situation. Before you meet with us, we highly encourage you to prepare questions. 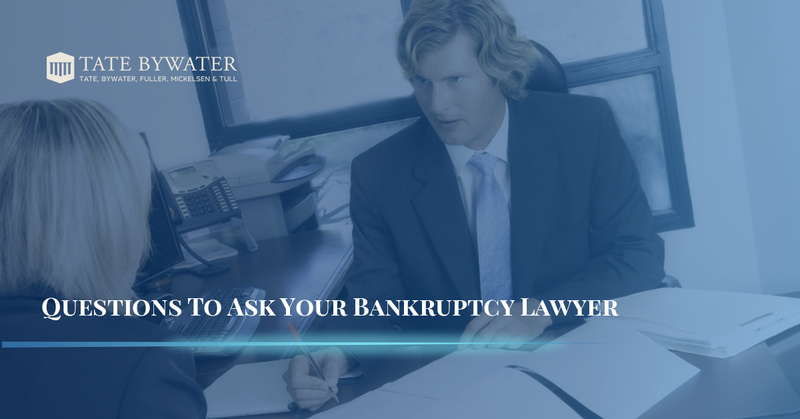 The reason behind this is so that you can better explain to your bankruptcy lawyer what you are facing, how you were put in this situation, and what you ultimately want to come out of the experience. Ultimately, we want to know all the facts so we can better serve you. What chapter do I file under? Will filing for bankruptcy take care of all of my debts? Am I at risk for losing money, property, or anything else if I file for bankruptcy? Will I have a monthly payment plan and how much will I be expected to pay? Who will assist me in preparing my petition? How long will it take to prepare and file my petition? Will you go with me to present my petition? How much are your legal services? What other fees are assessed? Do you accept payment plans or do you require the full amount? Do you need any additional information from me? Who should I speak with if I have more questions in the future? Our attorneys will be prepared to answer all of your questions. While this can be a stressful process, please consult our legal services at any time throughout your case. Are you single, married, widowed, divorced, etc.? Do you have any children? How much money do you (and your spouse, if applicable) make? What type of debts do you owe? Do you owe on past-due taxes? Do any creditors have judgments against you? What assets do you have, if any? Have you undergone wage garnishments? Have you been served with any lawsuits? Are you currently facing eviction or been recently evicted? Have any of your creditors levied fees for late payments? Have any of your vehicles or other property been repossessed? 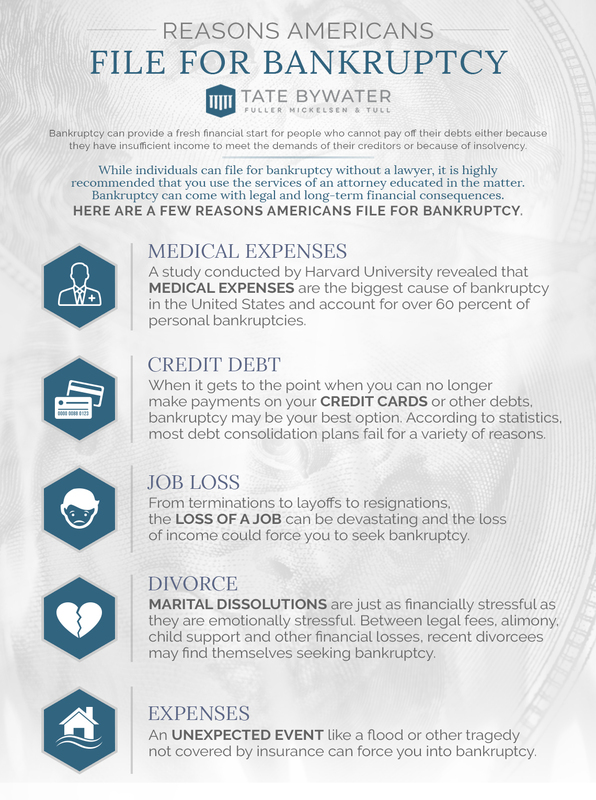 What do you ultimately hope to accomplish with bankruptcy? At TATE BYWATER Law, we are here to guide you through the process of filing for bankruptcy. While the law surrounding bankruptcy rights is complex, we can help you understand the process and offer you the best advice moving forward. We are proud to serve you and look forward to meeting with you.